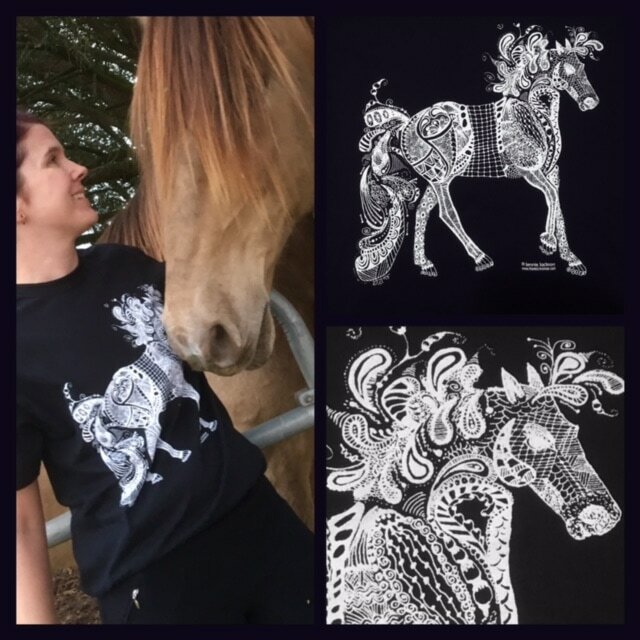 ​The artwork on these t-shirts is hand drawn by Jennie Jackson ​of her naturally gaited Tennessee walking horse stallion, Champagne Watchout. This photo is the inspiration for the first group of shirts. This photo is the inspiration for the black t-shirt.